Fool's Gold Records' series of Day Off Festival dates will include big names like Danny Brown and A-Trak, but there will also be some rising roster stars making their presence known. The label is now showcasing the up-and-comers on their new Fool's Gold 2014 Draft Picks mix. The eight-song set salutes recent adds to the Fool's Gold team, including Salva, Giraffage, High Klassified, Hoodboi, Gladiator and more. On top of serving up bass R&B tracks from Brenmar, Shash'u's "power funk" and TroyBoi's trap beats, the freelease comes equipped with "digital collector cards" featuring stats on the artists. "To me, all these new signings represent the sound of 2014 and beyond," label head A-Trak said in a statement, adding of the bonds between all of the Fool's Gold artists, "We bring them in and they're immediately part of the family." 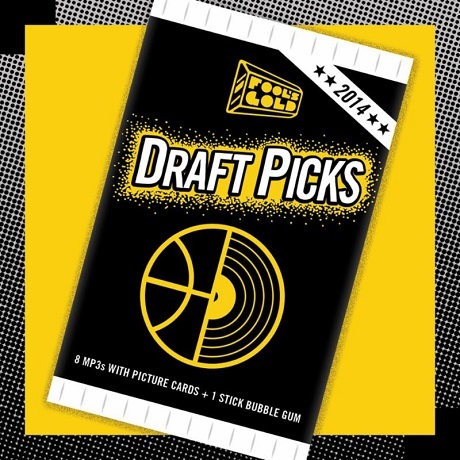 You can download the Draft Picks set over at the Fool's Gold website. The Toronto edition of the Day Off Festival takes place September 6 and will feature performances from Danny Brown, A-Trak, TNGHT's Lunice, Le1f, Tommy Kruise, Thugli, and more.